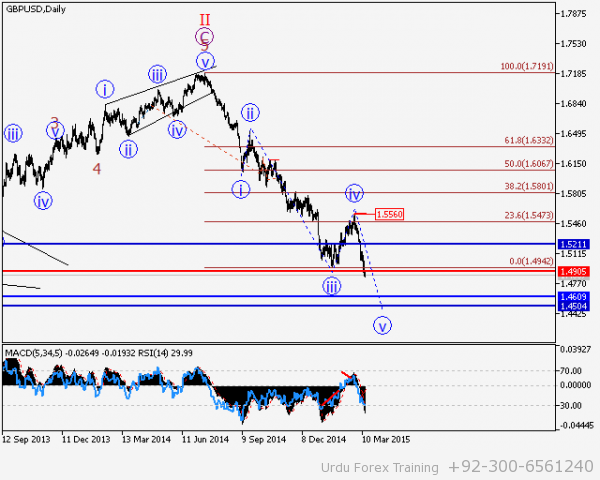 GBP/USD Wave analysis and forecast of 13.03 – 20.03: Downtrend continues. Estimated pivot point is at a level of 1.4905. 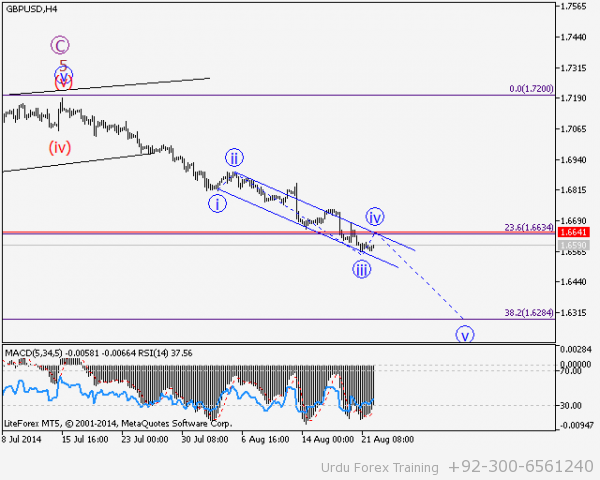 Our opinion: In the short term: buy the pair with the target at 1.52 in case the level 1.4905 is broken. In the medium term: keep short positions with a target at 1.46 – 1.45. Alternative scenario: Consolidation above a level of 1.5150 will allow the pair to continue the rise up to the level of 1.52 as part of correction. Analysis: The pair continued to decline. The critical level has been broken down and, apparently, a long-term bearish impetus carries on forming. Supposedly, the fifth final wave, within which the first wave (i) is nearing completion, is forming at the present time. If the assumption is correct, local correction in a form of wave (ii) is likely to develop to a level of 1.52. 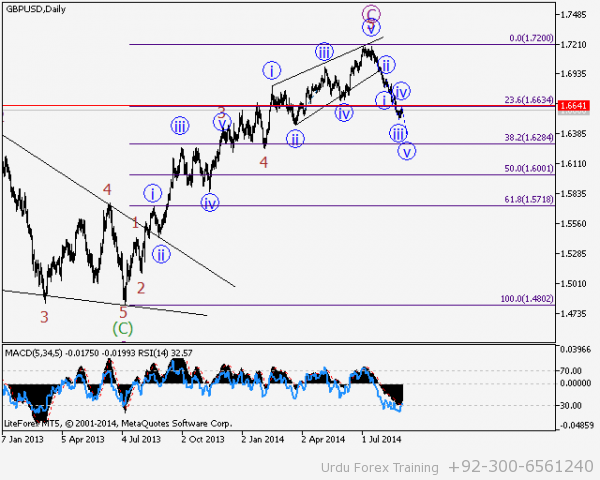 The level of 1.5560 at which the fourth wave iv finishes is critical in this scenario. 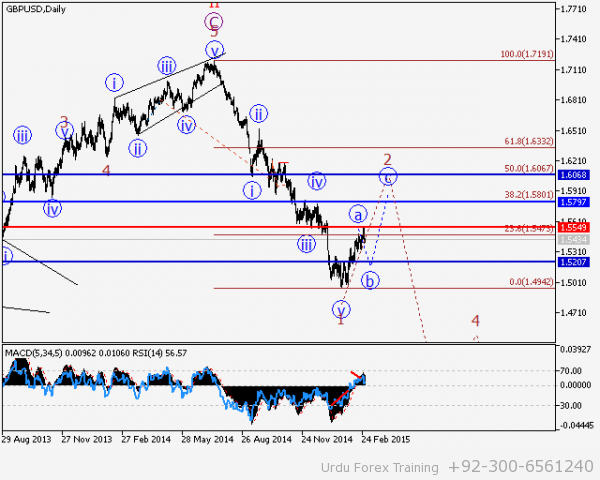 GBP/USD Wave analysis and forecast of 27.02 – 06.03: The pair is under correction. Estimated pivot point is at the level of 1.5550. 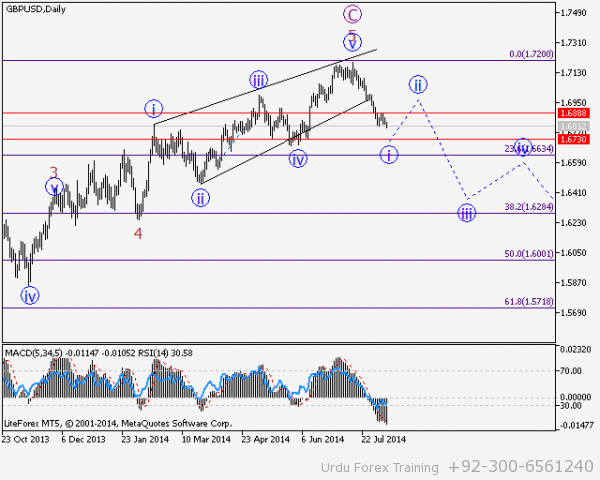 Our opinion: In the short term: sell the pair from correction below the level of 1.5550 with a target at 1.52. In the medium term, wait for correction to complete and buy the pair in the presence of confirming signals. Alternative scenario: Consolidation above a level of 1.5550 will allow the pair to continue the rise up to levels 1.56 – 1.58. Analysis: Presumably, the development of the first wave а of 2 under big bullish correction is completed. Correction in a form of wave b of 2 is forming locally, in a form of irregular flat surface. If the presumption is correct, after correction, the pair will logically continue to rise to the levels 1.58 – 1.60. 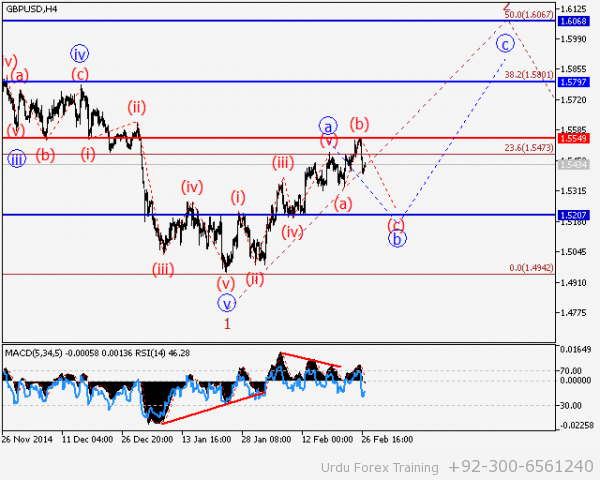 GBP/USD Wave analysis and forecast of 20.02 – 27.02: The pair is expected to decline due to correction. Estimated pivot point is at the level of 1.5486. 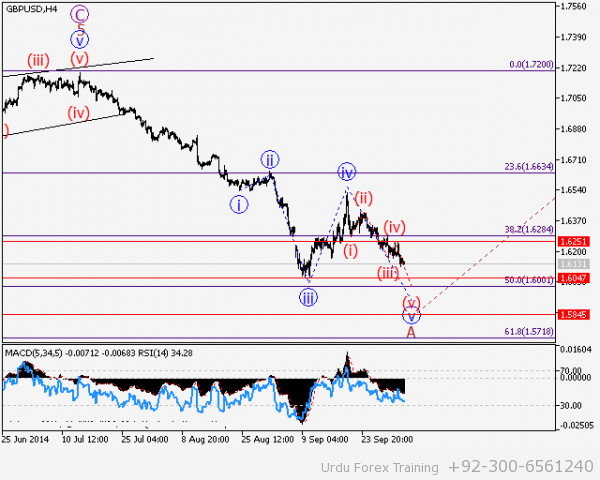 Our opinion: In the short term, sell the pair from correction below a level of 1.5486 with a target at 1.53 – 1.52. In the medium term, wait for correction to complete and buy the pair in the presence of confirming signals. 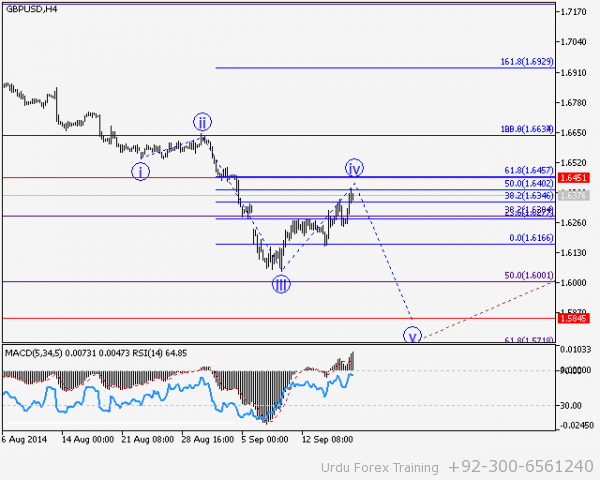 Alternative scenario: Consolidation above a level of 1.5486 will allow the pair to continue the rise up to levels 1.56 – 1.58. Analysis: Presumably, the development of the first wave а of 2 under big bullish correction is nearing completion. Apparently, the fifth wave of junior level (v) of a has finished locally. If this assumption is correct, it would be logical to expect local bearish correction to form within the wave b. Growth should continue thereafter. 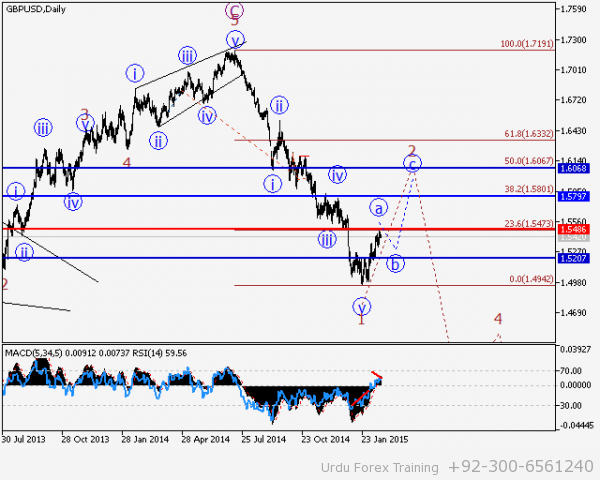 GBP/USD Wave analysis and forecast of 07.11 – 14.11: Large “bullish” correction is expected in the pair. Estimated pivot point is at the level of 1.60. 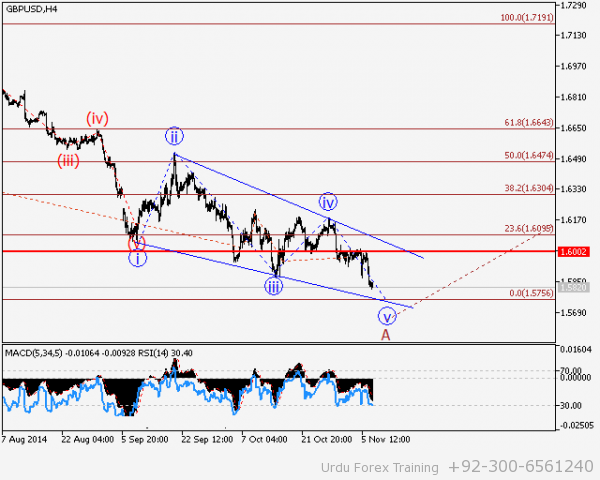 Our opinion: In the short-term: sell the pair from correction below the level of 1.60 with the target of 1.5750. In the medium-term: wait for breakout of the level of 1.60 and buy from correction above the local lows, which has been formed at this moment, with the targets of 1.6300 – 1.6475. Alternative scenario: Breakout and consolidation of the price below the level of 1.5750 will enable the price to continue the decline to the levels of 1.57 – 1.5650 in the bearish trend. 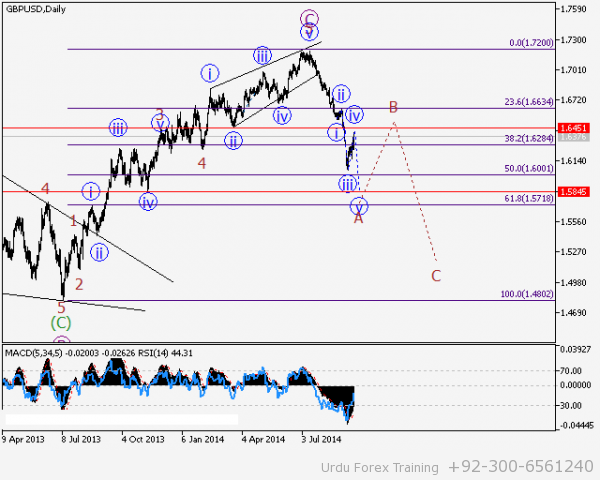 GBP/USD Wave analysis and forecast of 03.10 – 10.10: The pair is likely to decline. Estimated pivot point is at the level of 1.6250. 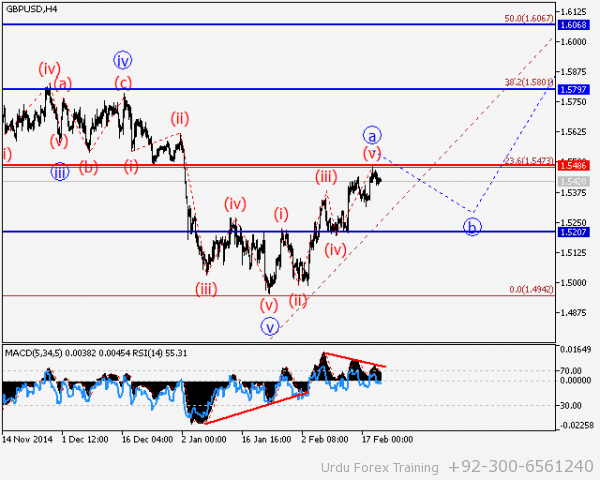 Our opinion: Sell the pair from correction below the level of 1.6250 with the target of 1.60 – 1.5950. Alternative scenario: Breakout and consolidation of the price above the level of 1.6250 will enable the pair to continue the growth to the levels of 1.65 – 1.6550. Analysis: Presumably, the formation of downward impetus in the first wave of the deep medium-term correction continues. 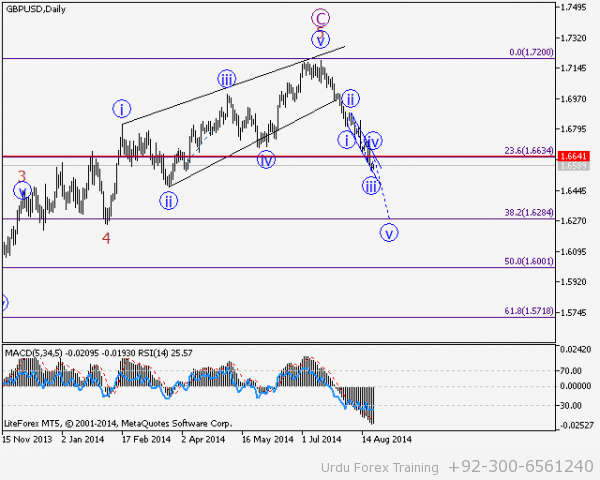 At this moment the pair is expected to continue to decline in the fifth wave of the developing “bearish” impetus. Locally, it is most probable that development of the small correction is completed as the wave (iv) of v and the final fifth wave is being formed. 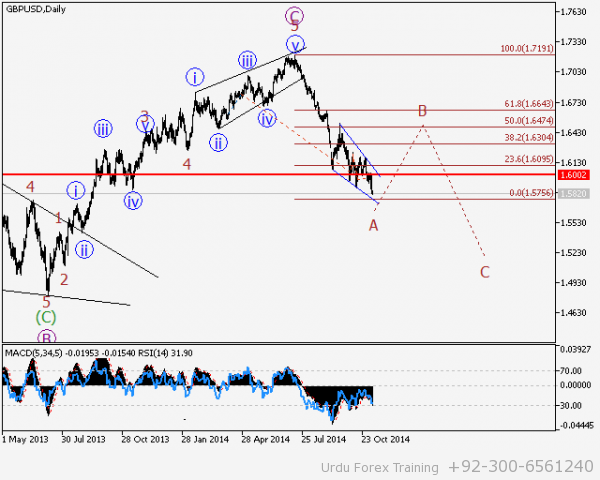 GBP/USD Wave analysis and forecast of 19.09 – 26.09: Correction is nearing completion. The pair is likely to decline. Estimated pivot point is at the level of 1.6450. 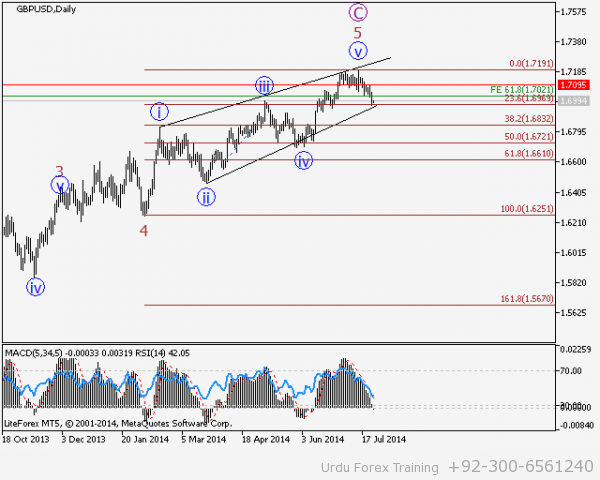 Our opinion: Sell the pair below the level of 1.6450 with the target of 1.59 – 1.5850. Alternative scenario: Breakout and consolidation above the level of 1.6450 will make the price continue the rise up to the levels of 1.65 – 1.6550. Analysis: Presumably, the formation of the downward impetus in the first wave of the deep medium-term correction continues. At the moment it is likely that the correction in the fourth wave is nearing completion. 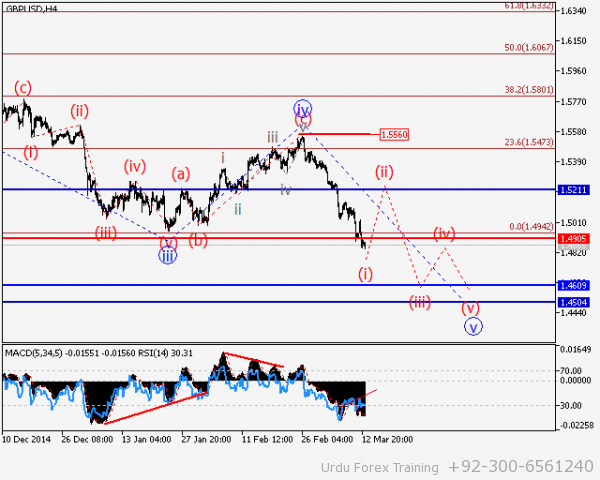 If this assumption is correct, the pair will soon continue to drop to the levels of 1.59 – 1.5850. 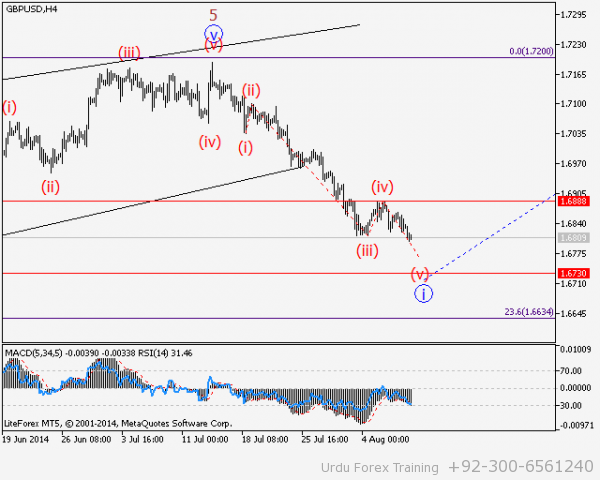 GBP/USD Wave analysis and forecast of 29.08 – 05.09: Downtrend continues. Estimated pivot point is at the level of 1.6640. 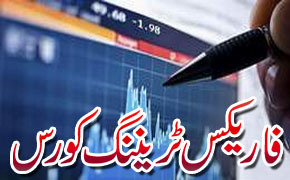 Our opinion: Sell the pair from correction below the level of 1.6640 with the target of 1.64 – 1.63. Alternative scenario: Breakout and consolidation above the level of 1.6640 will make the price continue the rise to the levels of 1.67 – 1.68 as part of the deep correction. Analysis: Presumably, the formation of the downward impetus in the first wave of the deep medium-term correction continues. By all appearances, the forming of the local correction in the wave iv is nearing completion. If this assumption is correct and the price does not break down the critical level of 1.6640, the pair will continue to decline to the levels of 1.64 – 1.63. 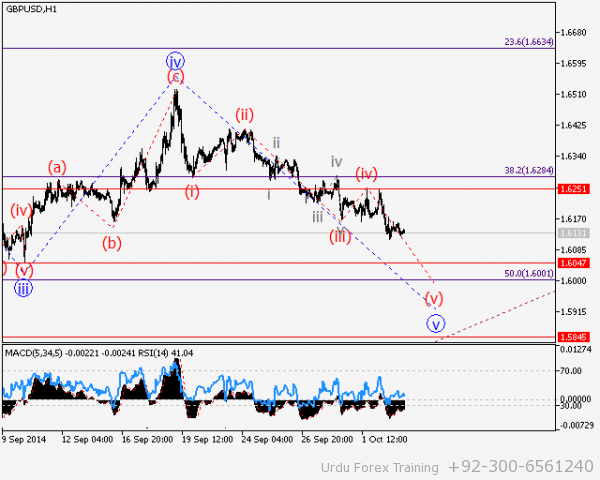 GBP/USD Wave analysis and forecast of 22.08 – 29.08: Downtrend continues. Analysis: Presumably, the formation of the downward impetus in the first wave of the deep medium-term correction continues. By all appearances, the third wave has formed, and the local correction in the wave iv has started. If this assumption is correct and the price does not break down the critical level of 1.6640, the pair will continue to decline to the levels of 1.64 – 1.63. 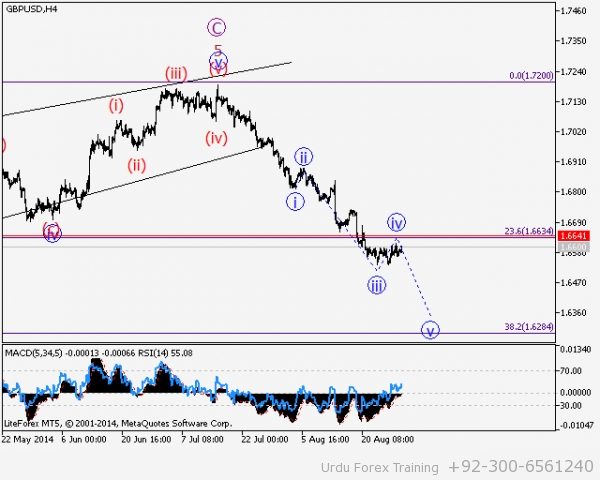 GBP/USD Wave analysis and forecast for 08.08 – 15.08: Downtrend remains. Estimated pivot point is at the level of 1.6890. 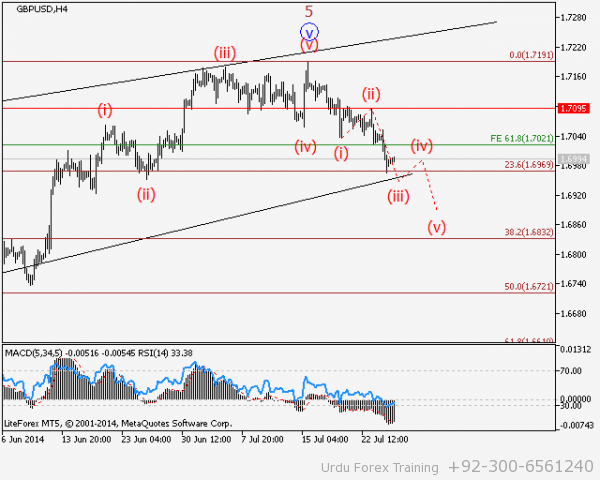 Our opinion: In the short-term: sell the pair from correction below the level of 1.6890 6925 with the target of 1.6730. In the medium-term: wait for the completion of the fifth wave and in case of reversal, sell the pair with the target of 1.70. Alternative scenario: Breakout and consolidation above the level of 1.6890 will enable the price to continue the rise up to 1.70, as part of correction. Analysis: Presumably, the formation of the downward momentum in the first one-two, one-two wave of the deep medium-term correction continues. It seems at the moment that the formation of the fourth wave has completed and the fifth, final wave is being formed. If this assumption is correct, after the completion of the fifth wave the pair will go up undergoing correction in the wave ii. Estimated pivot point is at the level of 1.7191. 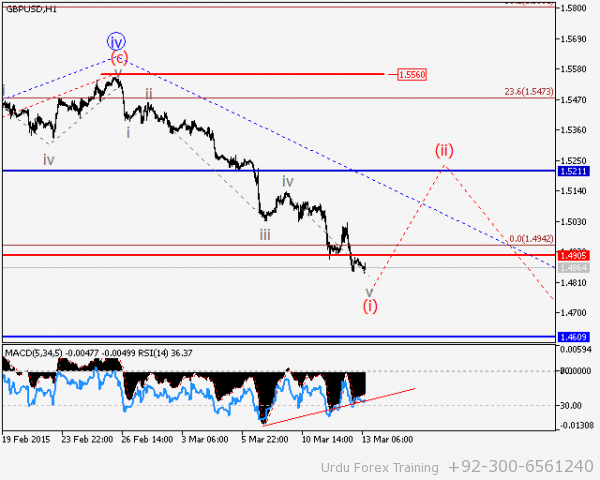 Our opinion: Sell the pair from correction below the level of 1.7191 with the target of 1.6830 – 1.6720. Alternative scenario: Breakout and consolidation above the level of 1.7191 will enable the price to continue the rise up to 1.73. Analysis: Presumably, the formation of the ascending momentum in the fifth final wave of the senior level V of 5 of C has completed. At the moment it is possible that the first one-two, one-two wave of the large “bearish” correction is being formed. If this assumption is correct and the price does not break down the critical level of 1.7191, the pair will continue the decline to the levels of 1.6830 – 1.6720.